Gallivan Plaza provides free live entertainment every weekday afternoon (excluding holidays) May thru September from Noon-1PM. Get out into the sunshine and enjoy your lunch while listening to the sounds of solo acoustic singers, songwriters and local bands. 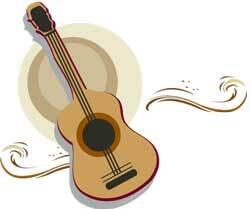 Musical selections include folk, acoustic, rock, jazz, pop, blues, and all variations in between. Did you forget to pack a lunch? Don’t worry; visit the new Gallivan Center concessions stand or one of the many take-out delis and restaurants nearby. Also, enjoy Lunch Bunch on Gallivan Ave. every Thursday along with our Thursday Food Trucks.